Teotl Studios and Grip Games talk about the puzzle platformers debut on consoles. The story for Unmechanical: Extended may sound simple at first as you control a little robot trying to escape from a vast underground complex. However, from its humble origins as a student project, Unmechanical grew to be something much bigger, winning the Nordic Game Awards and eventually transitioning to today’s platforms with Unmechanical: Extended. 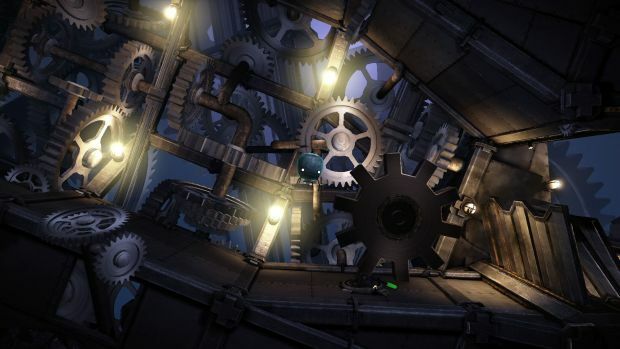 There’s quite a lot to learn about the game and the various mysteries surrounding it so GamingBolt spoke to Teotl Studios founder Sjoerd de Jong and Grip Games’ Jan Cabuk about Unmechanical: Extended. Despite originally being developed Talawa Games, the Extended version is being handled in cooperation with Grip Games, who is also publishing it alongside Teotl Studios. How does the game fare on the new generation, especially considering its relative age (it was released back in 2012)? Let’s find out. "Why did it eat you up? Who built all these constructions? An underground world that while dark, is not scary, but so strange and fascinating that you want to see what it is and where it leads to." Unmechanical: Extended has a very distinct art style that is reminiscent of classic games like Abe’s Oddysee. Can you speak about inspirations for the games visuals? Sjoerd De Jong: We took inspiration from so many different games, movies, and comics that it is difficult to pinpoint any particular inspiration. The strange combination of metal, rock, and flesh was done to ensure that the world itself feels alive and one big entity, yet due to the metal and rock still leave you intentionally confused as to what kind of creature you ended up inside, and what the environment actually is. Why did it eat you up? Who built all these constructions? An underground world that while dark, is not scary, but so strange and fascinating that you want to see what it is and where it leads to. The whole strangeness of it all is really meant to be part of the style and appeal of Unmechanical. What was the driving concept behind the games development? Did you set out to create a sprawling a narrative or a self contained world? Sjoerd De Jong: The narrative of the game is told in a subtle way, and the focus is on the world and the story it tells through environmental story telling. We wanted to tell the tale of a poor little helicopter robot trying to escape from an intriguing underground world full of obstacles. Both the original campaign and the new Extended campaign also have two different endings, so you can decide for yourself what the best thing would be for the world to happen. Neither of the two endings are defined as good or evil. How do you set about designing the various puzzles that appear throughout the game world? Sjoerd De Jong: One key thing we did was to let quite a large number of people work on our puzzles, to ensure that puzzles remain varied and interesting. We noticed that when you do puzzle design, that designers once they came up with a certain puzzle logic tend to stick to the same type of logic and style puzzle after puzzle, so we let a lot of our developers and people close to us participate and come up with puzzles to counter that. The result is quite a wide variety of puzzles in the game. 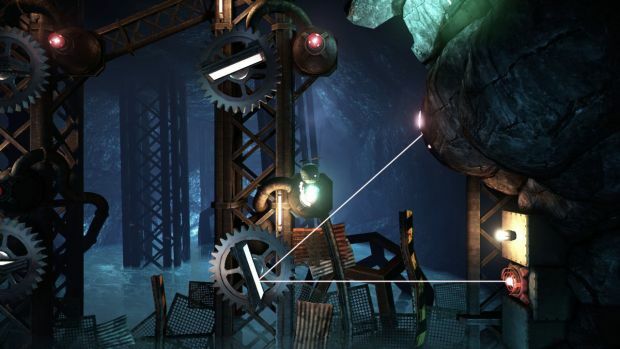 Unmechanical: Extended is described as making use of “logic” puzzles. Will these be legitimate logic puzzles or adventure game puzzles that require abstract thinking? Sjoerd De Jong: I would say they are definitely legitimate logic puzzles. We strive to make every puzzle logical. We want it to be easy to get into each puzzle, and we tried to ensure each puzzle clearly identifies what the problem is you are trying to overcome. A lot of the puzzles are also based on experimentation. Since you cannot die in the game, and without a time or other limit present, you effectively cannot lose. That opens up the door for more experimentation. 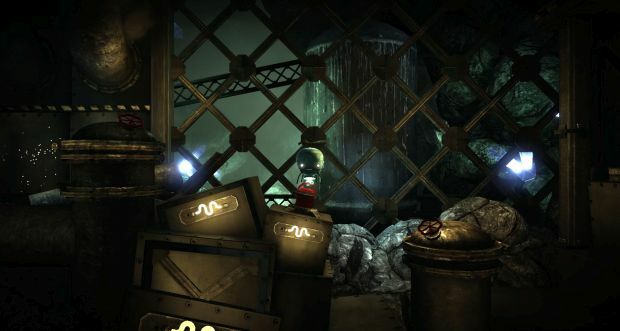 We want our puzzles to drive players to explore and experiment. What happens when you pull this lever? Or this button? How do the effects you see relate to each other? How would I be able to use these different things I found to solve the puzzle? That kind of thinking. Because of that the game is quite well suited for somewhat older children also. "We loved working on and creating Unmechanical, and are very honored to have received the Nordic Game award in a region packed with so many great developers, but we do not have any plans to expand it with any sequels right now." With the game slated to release across multiple platforms, will there be any major differences from platform to platform? Sjoerd De Jong: We’ve spent a lot of time and attention to ensure that Unmechanical looks and feels the same across all platforms, and that no platform is left out when it comes to playability and graphics. That said, Unmechanical: Extended which we just launched on the consoles contains a large additional level with about an hour of additional gameplay that is for the time being exclusive to the console version. Some would argue that Unmechanical: Extended is a game that’s best suited for a system like the PS Vita. Were the game successful on Sony’s handheld, would you consider bringing the game to Nintendo’s New 3DS model? Jan Cabuk: Actually Unmechanical: Extended wasn´t released on the PS Vita handheld because of some technical issues with Unreal Engine 3. Some fans are asking for WiiU version actually, but it is always a project profitability question we ask ourselves. Unmechanical was applauded for bringing home the Nordic Game Awards for the best artistic achievement, do you have plans to expand on the game with sequels? Sjoerd De Jong: We loved working on and creating Unmechanical, and are very honored to have received the Nordic Game award in a region packed with so many great developers, but we do not have any plans to expand it with any sequels right now. We are currently working on our new IP TheSolus Project. With the PC build of Unmechanical sitting at 74 on Metacritic, do you think any other build of the game will top that? Sjoerd De Jong: We hope so, but at the end of the day the most important thing for us is that people enjoy the game, and that we are proud of the result. And we are! Does the game run at 1080p and 60fps on the PS4 and X1? Jan Cabuk: On the PS4 you can enjoy 1080p and 60fps and on Xbox One 1080p and 30fps. And I am not sure why there is only 30fps on Xbox One right now. "Both PS4 and Xbox One are from the same new-generation and this means that from the technical point of view they are based on almost usual hardware, so not much differences inside." Would you like to talk about the new content that’s in the Extended version of the game? Sjoerd De Jong: We’ve added a stand-alone new level to the game which has extended the length of the game by about one hour of gameplay. The new level stands on its own and forms a little story line of its own parallel to the main story. It tells the story of not one, but two little helicopters that get pulled into the ground by the machines, while out on a stroll. The additional level revolves about the relationship of the two little helicopters. In several sections of the level, you try to save, or need to be saved by your fellow little helicopter leading to a new dynamic not seen in the original campaign. As someone who has worked on both PS4 and X1, what technical differences do you find between them? Jan Cabuk: Both PS4 and Xbox One are from the same new-generation and this means that from the technical point of view they are based on almost usual hardware, so not much differences inside. The problem is that the consoles are different in the user-experience concept. You have to deal with different platform specific requirements. But, yes sometimes you can experience that one console is rendering the same piece of scene differently that the other. As a developer what is the most important to you, resolution or frame rate? And why? Jan Cabuk: As publisher, I would say that for me and for the whole team is important to see the game in its best shape. What can you tell us about the future of Grip Games? Are you working on anything at the minute? Jan Cabuk: Grip Games is now fully positioned as publisher. Concretely our focus is on great and successful indie titles.We work with other developers as a partner to help them release and sell their awesome games on Consoles and Steam. We would like to continue and grow our portfolio. We are also investing resources to new projects and new partnerships which is the case of our next cooperation with Teotl Studios. Jan Cabuk: Try Unmechanical: Extended if you haven´t yet. It is a small but very atmospheric and smart game. That´s all.